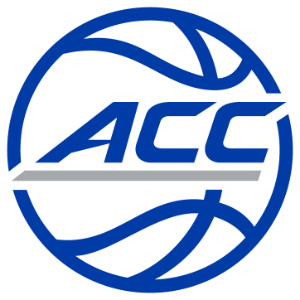 ACC basketball weekly honors are determined by a vote of a 15-member media panel. The weekly accolades are the first of the season for both players. Trent averaged a team-best 23.5 points in leading No. 5 Duke (17-2, 5-2) to a pair of ACC wins on the road at No. 25 Miami and at home over Pitt. Trent scored a career-high 30 at Miami, and followed that with a 17-point effort against Pitt, his ninth straight game with double-digit points. Trent led Duke’s late-game rally at Miami by scoring 13 points in the final eight minutes on perfect shooting (3-for-3 on 3-point shots, 4-for-4 from the foul line), as the Blue Devils overcame a 13-point deficit to win 83-75. The Columbus, Ohio native was 11-for-16 (.688) from 3-point range over the two games, knocking down 6-of-9 at Miami and 5-of-7 against Pitt. The Miami game marked the third time this season that Trent tied a Duke freshman record by hitting six 3-pointers in a game. He added eight rebounds, three assists, a blocked shot and two steals in the two wins. Trent has made 36 of his last 67 shots from 3-point range (.537) and is Duke’s second-leading scorer in ACC play (18.7 ppg). Yurtseven had 22 points on 9-for-16 shooting in the win over Wake Forest. He pulled down eight rebounds in the contest and blocked one shot. On Sunday against Miami, he delivered 28 points on 12-for-16 shooting with six rebounds and a pair of blocked shots. The 28 points were one point shy of his career high set earlier this month in a win over nationally-ranked Clemson. Yurtseven connected on 76 percent of his two-point field goal attempts (19-for-25) in last week’s games.